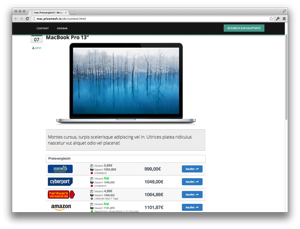 Price comparison as script or plugin for WordPress. Register for a free Pricemesh account, enter affiliate network and install the WordPress plugin. 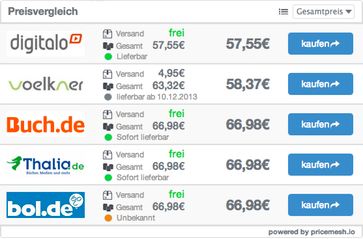 Your first price comparison widget is just a couple minutes away. Test Pricemesh for free for 7 days, no credit card required. Once your trial ends, pricing startsfor as little as $4.99. As a WordPress plugin or with a few lines code on your website. 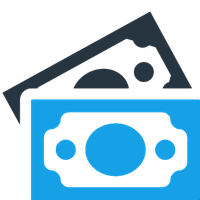 No complicated configuration: Start earning money in no time. 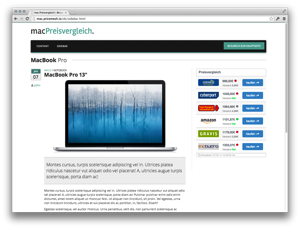 Every time your page is accessed by one of your visitors, the widget sends an asynchronous request to one of Pricemeshs servers. In the meantime, your page continues to load normally.In the meantime, Pricemesh will contact all your affiliate networks and receive current pricing data, which is sent back to the widget. 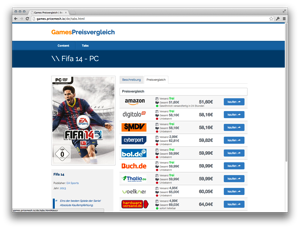 Once your site is fully loaded the price comparison is embedded automatically. 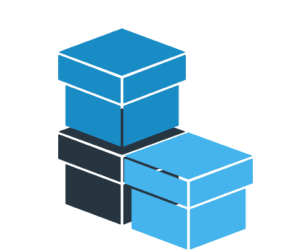 Pricemesh takes care of up-to-date prices, caching and everything else automatically. No time-consuming configuration. You pick what's displayed on your price comparison. Once you connect Pricemesh with one of your affiliate accounts, the system detects all partners and shops that have an active partnership with you automatically. Only those are displayed during the price comparison. This gives you full control all the time. Pricemesh matches products on unique product numbers: UPC, ISBN, EAN and ASIN. 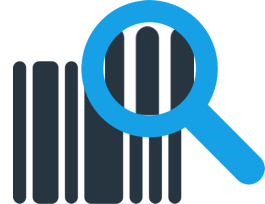 In order to find products, you'll get access to an integrated search engine. 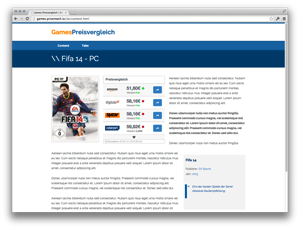 This allows you to assign products to articles on your site easily. It doesn't matter whether you want to add additional shops later or change the whole affiliate network right away: The product matching remains the same and you don't have to bother with it a second time. Websites do not develop in a linear way. Things that are working today might be punished tomorrow. A small niche site might get super successful over night and a huge project might exhibit declining number of visitors. Pricemesh can pay for itself at the very first sale of the month. With an average shopping cart value of $110 the monthly cost is extremely small compared to the anticipated commission that can be earned. 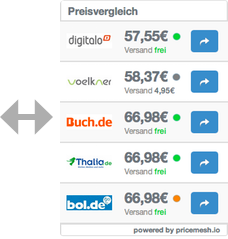 A good placed price comparison won't be so easily overlooked as a static banner. 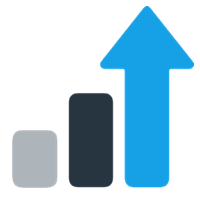 This leads to higher clicks rates and more commission. The Plugin is very good. This is particularly profitable for widely distributed well-known brand products that are available in many stores. Compliments for this service. Is really solid and implemented in the most user-friendly way, the utilization is great. What I liked a lot while testing is the fact that Pricemesh is very efficient in the use of personal data [...] address data, accounting data, even passwords for individual affiliate networks don't have to be specified. Big complement for this WordPress Plugin! I never thought a price comparison could be so easy. First of all I'd like to praise the great effort behind this. Pricemesh is a wonderful tool and exactly what I was looking for. It is much better than all the other tools I've tried before. Great tool! [...] Respect for the great work... There is nothing comparable with this technology (responsive etc.). Even the big sites don't have this.